Welcome to the second year of CRAFT, the project-based magazine celebrating the do-it-yourself modern craft movement. We unite, inspire, inform and entertain a growing community of highly imaginative and resourceful people who are transforming traditional art and crafts with unconventional, unexpected, and even renegade techniques, materials, and tools. 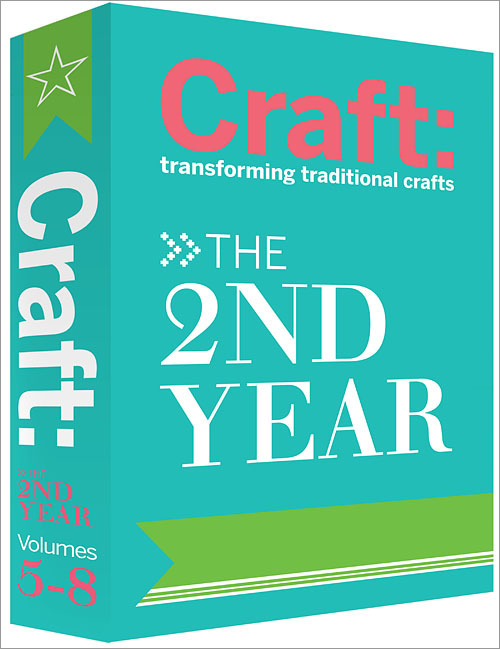 In this special limited re-release, all 4 volumes of CRAFT's 2nd year are combined in a Special Edition Boxed Collector's Set with slip case. CRAFT volumes 5 8 highlights Paper, Play, Shoes, and Weaving themes. With lots of step-by-step must-make projects in each volume, you'll be crafting all year long.